View More In Changing Tables. Add simple rustic charm to your nursery with the Baby Relax Hathaway Topper. 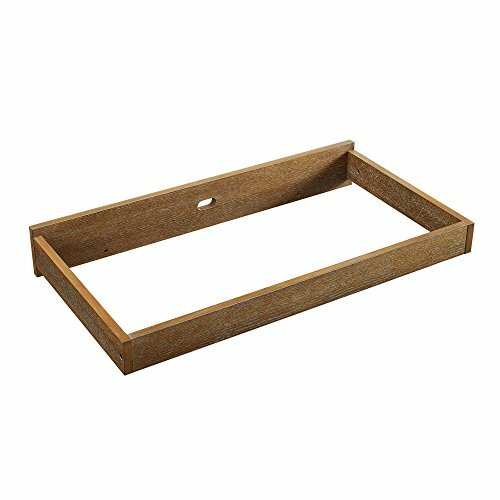 Crafted with a non-toxic rustic coffee finish, this farmhouse chic topper is designed to safely secure to the Baby Relax Hathaway 3-Drawer Dresser (sold separately) to create a convenient changing station. Combine the Baby Relax Hathaway Topper with the rest of the Baby Relax Hathaway collection to bring a modern, rustic and farmhouse chic feel to your nursery. If you have any questions about this product by Baby Relax, contact us by completing and submitting the form below. If you are looking for a specif part number, please include it with your message.